U18s manager Adem Atay says tonight’s FA Youth Cup third round tie against Andover Town at Portman Road is a good chance for the U18s to showcase their talents in front of fans and also boss Paul Lambert (KO 7pm). Atay, 32, a former academy midfielder himself, says the game is being treated as they would any other match. “I think any competition for these boys is important,” he said. “We take every game, every competition very seriously. We try not to change our approach for any of the games because we don’t want to add any more pressure than the boys are already under. “But Tuesday’s game under the lights, in a stadium against an unknown opposition provides a lot of challenges for us and we’re all looking forward to it. Atay says playing a game at Portman Road in front of a larger crowd than they get for their league games at Playford Road will benefit them. “I think it’s massive and you’re seeing a lot more clubs in England trying to expose their players to stadium games because it just adds a different type of pressure on to the boys,” he added. The Blues go into the match as strong favourites against Andover, whose senior side play in the Sydenhams Football League (Wessex) Premier Division. Does that add to the mental pressure? 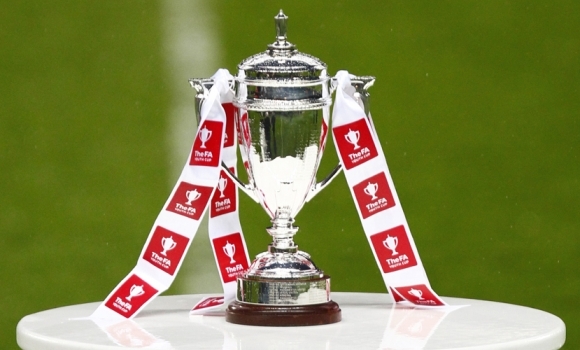 Tonight's FA Youth Cup tie against Andover Town at Portman Road will be broadcast LIVE on the #itfc Facebook page. “We prepare for every game in the same way so we like to focus on ourselves most importantly, it’ll be about what we do tomorrow night and what the players do and hopefully we can come out with a positive result,” Atay continued. With the first team currently bottom of the table a run in the Youth Cup, which the Blues won in 1973, 1975 and 2005 (below), would be a shot in the arm for everyone at the club. “Any win for any age group, it always adds a boost to every member of staff or player,” Cambridge-born Atay reflected. One of his squad, left-back Bailey Clements, was involved with the first team in pre-season, while the likes of Idris El Mizouni, Armando Dobra and Kai Brown are regulars in the U23s and will be familiar with playing at Portman Road. “We’re in a unique environment with the first team and the academy on the same site,” he added. 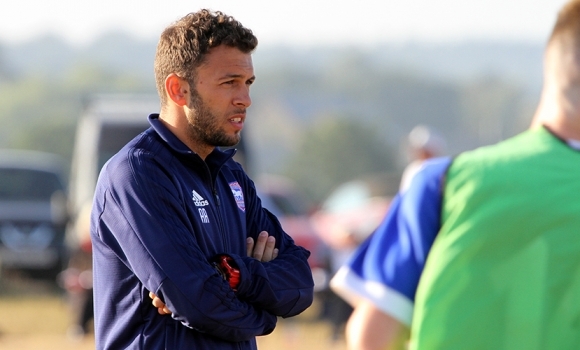 “So these boys have grown up in this environment in and around the first team every day and some boys have kicked on more so this year than they have previously and have been playing in the U23s and have already played at Portman Road. Clements, who signed a professional contract in August, and Tunisian U23 international El Mizouni, who TWTD revealed last month has also been offered professional terms, are the two players involved closest to breaking into the senior side at present. “Hopefully it’s their opportunity tomorrow to showcase their talents and just give themselves a chance to put in performances that can help the fans identify the players that are kicking on with the academy and hopefully progress into the first team,” Atay added. The U18s made a strong start to the season netting plenty of goals and topping the table but have dropped back in recent weeks in part due to their more impressive performers, such as El Mizouni and Clements, being promoted into the U23s. They are currently fourth, three points off the top having beaten Colchster 6-3 at Playford Road on Saturday. “It’s hard to say because we obviously focus on individuals and about those boys progressing forward into the age groups and ultimately get professional contracts and have a career in the game,” Atay said. “The U18s, if you look at the league table, we were top for quite a while but ultimately it’s about looking at the individuals and pushing them into the first team. Atay says new boss Paul Lambert has shown an interest in his squad: “All the new staff at the football club have been great, very welcoming and have shown a lot of interest. With the likes of Jack Lankester, who made his full debut at Forest on Saturday, Flynn Downes, Teddy Bishop and Andre Dozzell all having featured under Lambert, the youngsters can see a pathway into the first team. “I think it’s easy for us to look and say that this manager provides this pathway or this one doesn’t,” he considered. “I think at the end of the day if a player is good enough it doesn’t matter the age they are. If they’re good enough they’ll play and they’ll come through. “It’s really about the individual making sure he’s doing everything, he can become a professional footballer and put in the right performances when it matters and having an impact and an influence on games. Does he believe all the club’s teams should play in a similar style? “I think that’s probably not for me to say. If that’s the route the manager and the club want to go down then we have to be adaptable. Over the years that’s how we’ve had to educate the players, first and foremost that we can be adaptable to any style. 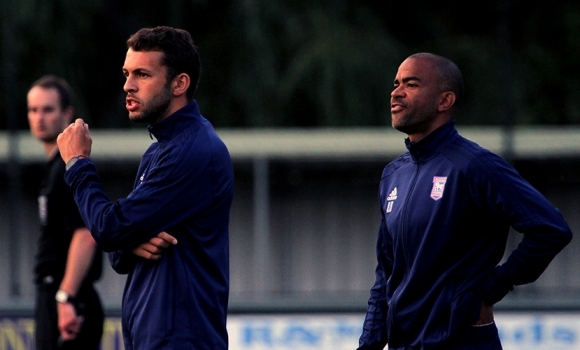 The game will be Atay’s first in charge of the U18s at Portman Road having moved up from the U16s along with his assistant Kieron Dyer in the summer. Atay, who was unable to break into the Town team as a player before playing locally in non-league and also in Turkey, played down the significance of the match from a personal perspective. He says his partnership with Dyer has worked well: “He’s been brilliant. It’s nearly 18 months, we pretty much speak to each other every day, more than I speak to my wife! Andover have already played six ties to set up their visit to Suffolk, beating fellow non-leaguers Wingate & Finchley in the second round last month 8-7 on penalties after a 2-2 draw. “I did go and watch them in the game before this against Wingate and from what I saw they’ve been well coached,” Atay said. “They’ve played six games to get to this stage so they’ve actually got a bit more experience of the competition than we have and they’ve played extra-time and come through penalties in some games, so they’ve been exposed to different scenarios. Atay knows the Hampshire club will be out to cause an upset: “Absolutely, it’s a great experience for them, I can’t imagine in the games before this that they’ve played in a stadium with the capacity that we’ve got or a club of the size and the history of our football club. Atay has his own memories of playing in the Youth Cup with the Blues: “I try and look back at those experiences and help the players. We haven’t announced the squad and there will obviously be players who will be left out so I’m hoping that my experiences of understanding the emotions that they might be going through might help them. “We played against Leeds away at Elland Road in 2003, they had some big name players back then, Aaron Lennon played in the game, and it was a big thing for us that night. “We came through it and we won 2-1 in extra-time and it was a massive buzz after the game, big celebrations because we’d beaten a team in a stadium you’d only ever seen on TV. “I’d like to think that my experiences and Kieron’s experiences of World Cups and other tournaments far higher than I ever got to can hopefully help the boys. “But we don’t want to add more pressure on top of what the players will already been feeling. They know it’s a competition, they know what’s happened in previous years, they know it’s a knockout game, they’ve got enough to worry about, we just want them focusing on the game. 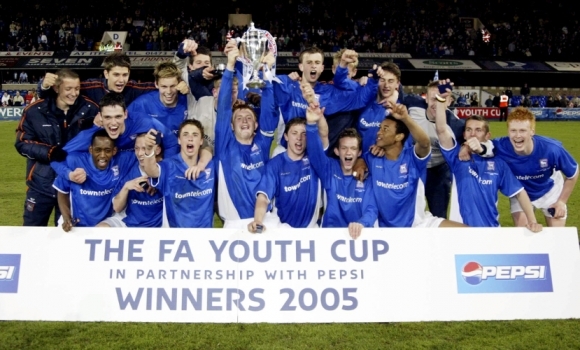 Last season the young Blues enjoyed a decent run, making it to the fifth round where they were defeated 2-0 by Blackpool at Portman Road, having defeated Dagenham & and Redbridge 2-1 on home turf in the previous round. However, the standout result was the 2-1 victory at Everton in the third round. “I travelled to that game, went and watched them and it was a really good night for the academy,” Atay recalled. “We had the tag as the underdogs that night but we came through with Alan Lee leading the team, he did some great work with them and they came away with a great result and had a nice little run that year. “At the end of the day it doesn’t matter what opposition you get, it is about what you do on the night and whether they can cope with the pressure that they’re under as kids on that evening and focus on their performances and what they’ve been doing throughout the year, because it’s a case of continuing their development and their progression. Tickets for tonight’s tie, which will go to extra-time and penalties if necessary, are priced at £3 for adults and £1 for concessions. No, not for the Youth Cup. Does anyone know if there are cash turnstiles for this. IF I get off work in time I quite fancy going down.